Cheyenne, Wyoming, March 3, 2016. 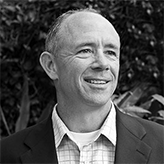 BlackFog is pleased to announce the appointment of Jeffrey Carmody to its board of Advisors. “We are very pleased to have Jeff join the BlackFog team as it rapidly expands around the world. Jeff will provide a deep bench of experience from the capital and technology markets, which is crucial as it enters its hyper growth phase and scales out the business.” said Dr. Darren Williams, CEO of BlackFog. Jeff currently leads new business development for Agility Capital, a private lender to growth companies and manages the portfolio of technology-based borrowers. Before joining Agility, Jeff held similar roles at Sand Hill Capital, a Silicon Valley-based venture debt provider. He holds a bachelor’s degree from University of California, Santa Barbara.